A Sheffield company which is rolling out high-speed broadband to rural areas by using spare capacity on the TV network has secured a £150,000 Investment from NPIF-Mercia Debt Finance, which is managed by Mercia Fund Managers and is part of the Northern Powerhouse Investment Fund. Whitespace Technology uses TV frequencies freed up by the switch from analogue to digital television, known as TV whitespace. As the signal can travel long distances over hills, through buildings and trees, it is ideal for providing connectivity in rural locations and areas such as campuses, or to connect IoT devices in urban areas. 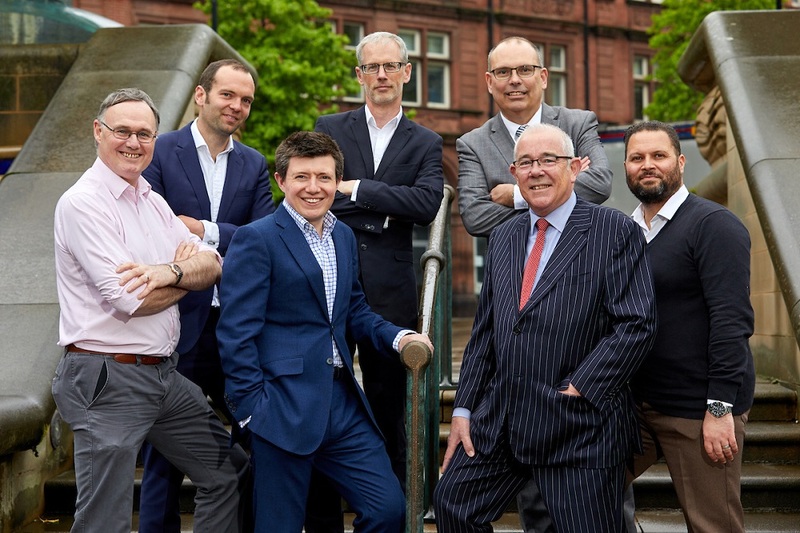 Photo Caption: Left to right – Mark Kelly, Whitespace, David Tindall, British Business Bank, Peter Crawford, Freeths, Peter Sorsby, Mercia, Robert Hanney, Knowles Warwick, Steve Thomas, Whitespace, Mark Wheeler, Whitespace.